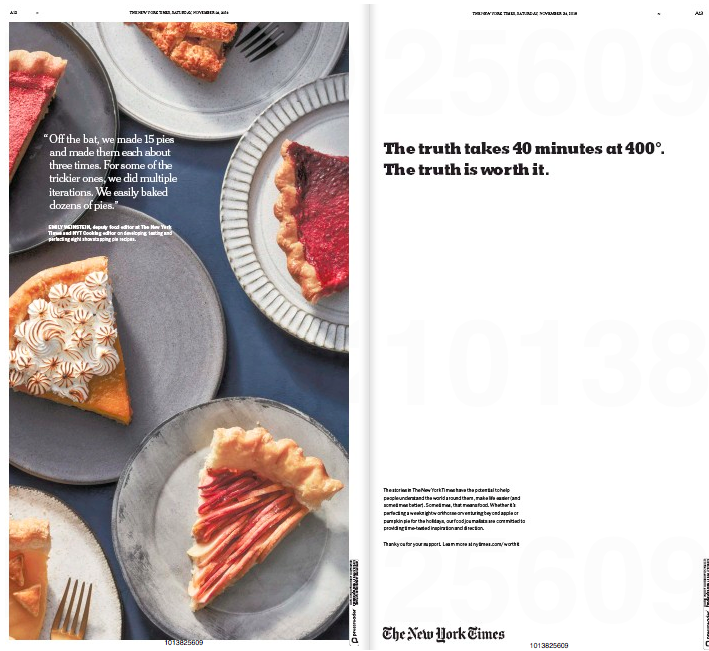 For the past two years the hardworking staff has diligently chronicled the newspaper industry’s Pep Squad for Truth – those preaching-to-the-choir ad campaigns aimed at convincing the American public that real news matters. Chief among the pom-pom crowd has been the New York Times, which has run expensive TV spots like this one on national networks. 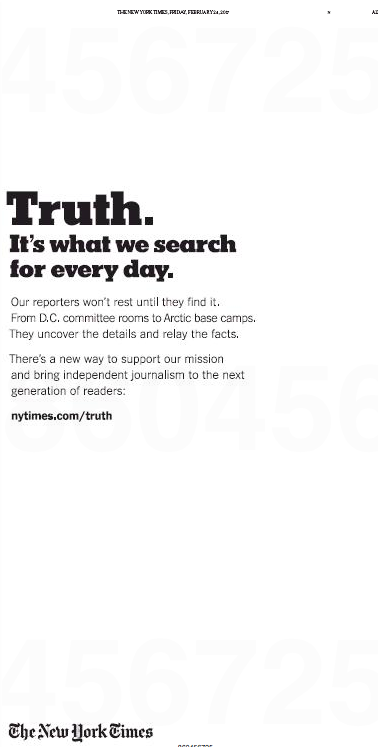 The Times has also peppered its own pages with full-page ads extolling the virtues of journalistic watchdogging. But now comes this double-truck in Saturday’s edition that focuses on the Times’s integrity in covering . . . pies. Memo to Timesniks: We know that, for financial reasons, you make a distinction between content – that is, journalism – and product like NYT Cooking. But housing both in The Truth campaign is not helping your cause. This entry was posted in Uncategorized and tagged New York Times, NYT Cooking, Pep Squad for Truth, The Truth campaign. Bookmark the permalink.